Margaret Thatcher speaking at a Conservative Party Conference in October 1984. 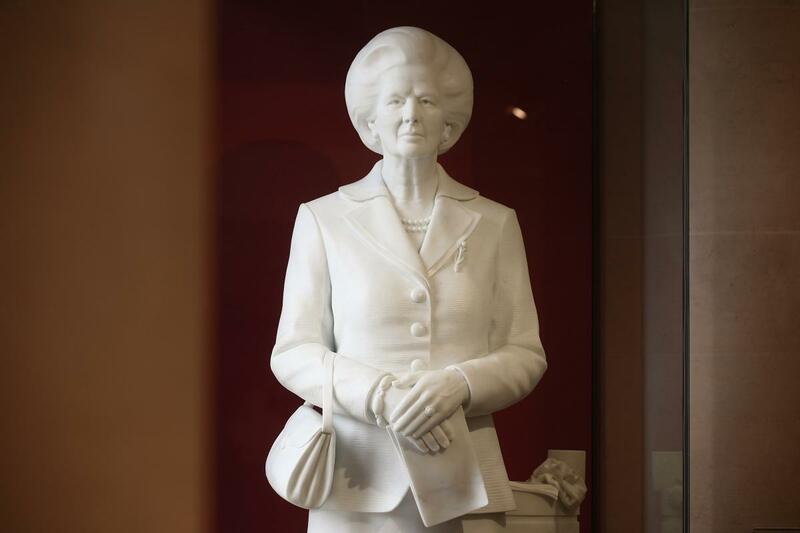 Plans to install the £300,000 statue in Mrs Thatcher’s home town of Grantham will be voted on today by members of the South Kesteven District Council's Development Management Committee, after police warned that the statue would need a 10-ft plinth to deter vandals. Conservative MP John Whittingdale, who was the Iron Lady’s private secretary for five years, told talkRADIO’s Julia Hartley-Brewer: “I think it is sad. I recall when the debate was taking place around whether or not there should be a statue of her in Parliament Square. There was the same concern. “They did have a statue in the city, which was vandalised. However strongly you might disagree with her politics, I don’t think there is any justification for that. A statue of Margaret Thatcher in Guidhall Art Gallery in London, which was decapitated in 2002 just before it was due to be installed in the House of Commons. The MP for Maldon admitted that Mrs Thatcher was “controversial” but said it was a “tremendous privilege” to work with her. He added: “She did change this country, in my view for the better. But even if you are not a Conservative and you were not a supporter of Margaret Thatcher, I would hope that you would want to commemorate an extraordinary achievement of being the first female Prime Minister of the UK. “She was one of the very first female prime ministers around the world. Not only did she become Prime Minister, to many people’s surprise but she then went on to win three elections in a row. Mr Whittingdale said Mrs Thatcher was aware her policies made people “unhappy”. “I remember the Conservative party conference every year would have huge numbers chanting ‘Maggie, Maggie, Maggie, out, out, out!’” he said. “But she believed what she was doing was necessary for the long-term benefit of the country and it involved painful decisions. “She was not insensitive - she knew things like the closures of the coal mines and steel works were causing unemployment and understandably people were very unhappy. “She was absolutely convinced it had to be done and I happen to think she was right.